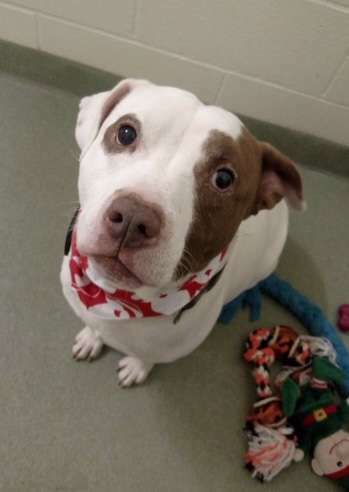 At the end of 2018, Ionia County Animal Shelter in Michigan experienced a huge rush of adoptions. 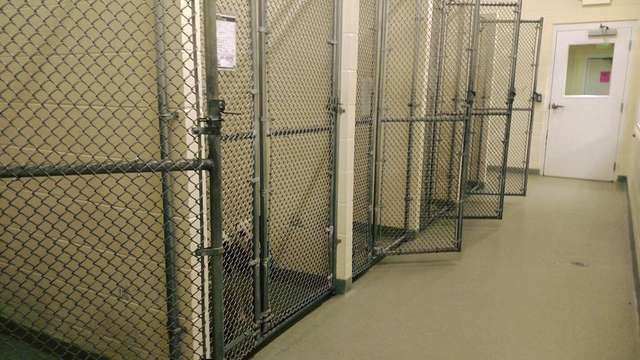 Soon, almost every dog in their shelter had gone to a good home. 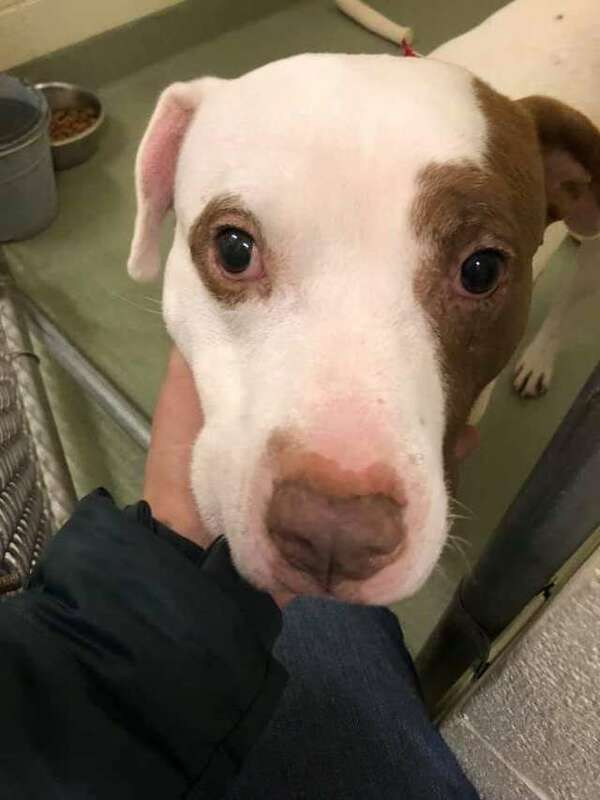 By the middle of January 2019, they just had one dog left in their shelter: a seven-year-old Staffordshire Terrier mix named Capone. 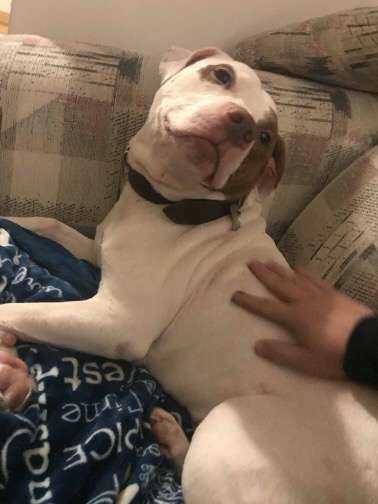 Capone had first come to Ionia County Animal Shelter in 2017. He was adopted soon after he arrived at the shelter, but his owners returned him in 2018 when he got in a fight with a dog visiting their house. The poor dog was so depressed he wouldn’t eat. 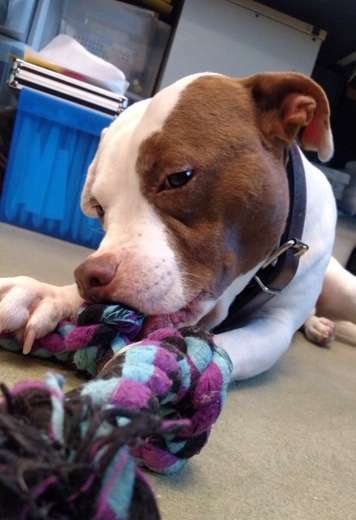 The shelter staff tried their hardest to find the right forever home for Capone. 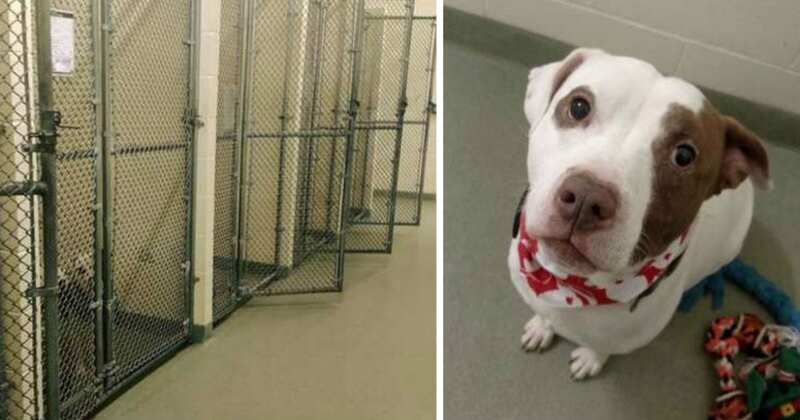 Once every other dog in the shelter was gone, they put all their focus on Capone. 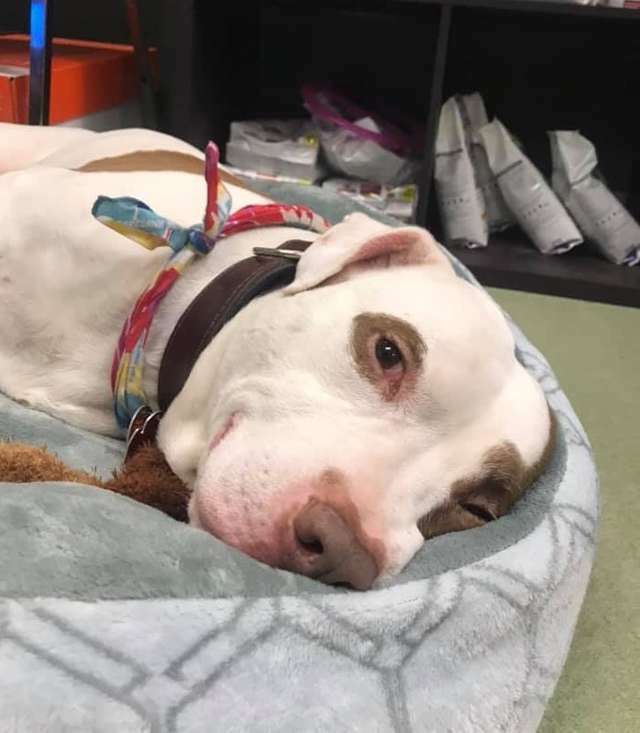 The shelter posted tons of photos of Capone on their Facebook page, letting people know that he was still available for adoption. They knew he would do best in a house that didn’t have any other dogs, which made it trickier to find the right home for him. 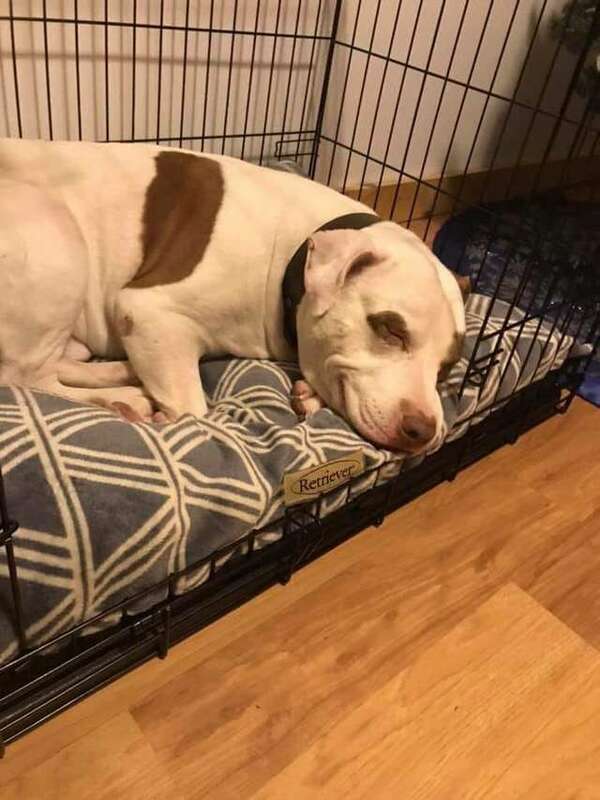 Finally, after months of trying to find the right home for Capone, a couple messaged the shelter and asked if they could see him. Quinn was nervous about introducing Capone to the couple since the dog was often shy and withdrawn around new people. Quinn worried that the couple wouldn’t like him. But the adopters, Jon and Ashlee, had already fallen in love with Capone from his photos. Before they went to the shelter, they went to the pet store and had tags made for him. Capone seemed to see sense that this couple truly loved him. Quinn brought Capone into the shelter lobby, where Jon and Ashlee were waiting. The couple knelt down, and Capone immediately ran into their arms. “It was truly a tearjerker,” Quinn said. Jon and Ashlee brought Capone home that day, and the pup quickly settled into his new house. The couple shared a photo of Capone napping with the animal shelter. The dog had the biggest smile on his face. Capone sat in the shelter on his own for weeks, but it was all worth it—he now has the perfect forever home! If you want to help Ionia County Animal Shelter help more animals like Capone, consider donating to their organization.